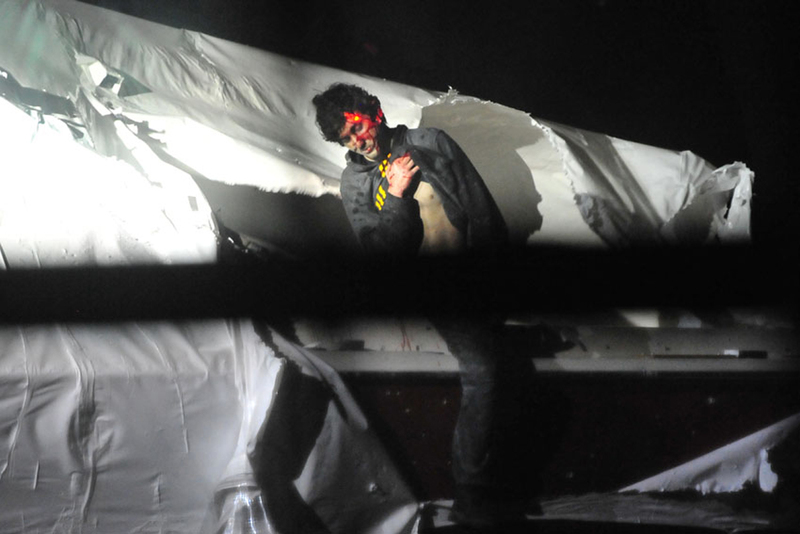 (AP) BOSTON - A police photographer, furious with a Rolling Stone magazine cover photo he said glamorizes the surviving Boston Marathon suspect, released gritty images from the night Dzhokhar Tsarnaev was captured - and then was suspended. The photos released to Boston Magazine on Thursday by Massachusetts State Police tactical photographer Sgt. Sean Murphy show a bloody, disheveled Tsarnaev with the red dot of a sniper's rifle laser sight on his forehead. Murphy said in a statement to the magazine that Tsarnaev is evil and his photos show the "real Boston bomber, not someone fluffed and buffed for the cover of Rolling Stone magazine." The music magazine hits the shelves this week, and some retailers have said they won't sell it. State police spokesman David Procopio said in a statement that the agency did not authorize the release of the photos to Boston Magazine and will not release them to other media. "The State Police will have no further comment on this matter tonight," he added. Boston Magazine editor John Wolfson later tweeted and reported on the magazine's website that Murphy was "relieved of duty" and had a hearing next week. Procopio told CBS News that Murphy has been relieved of duty for one day and that he is the subject of an internal investigation. Procopio also added that Murphy's duty status will be determined at a hearing next week. Murphy, who did not return a message from the AP, said in his statement to Boston Magazine that Rolling Stone's cover photo, a softly-lit image of a brooding Tsarnaev, insults officers killed in the line of duty, their colleagues and their families by glamorizing the "face of terror." Rolling Stone has said the cover story on Tsarnaev was part of its "long-standing commitment to serious and thoughtful coverage of the most important political and cultural issues of our day." In his statement, Murphy said the capture of Tsarnaev played out like a television show, but he hopes his photos show it was "as real as it gets." "These were real people, with real lives, with real families," Murphy said. "And to have this cover dropped into Boston was hurtful to their memories and their families." He added: "There is nothing glamorous in bringing more pain to a grieving family."